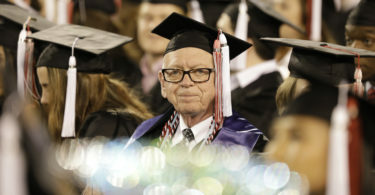 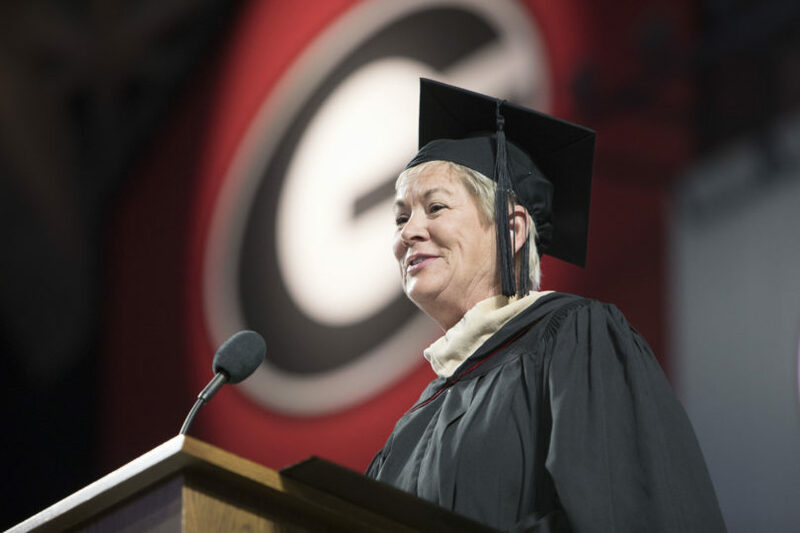 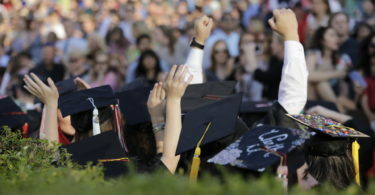 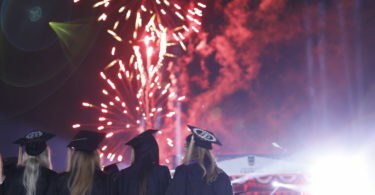 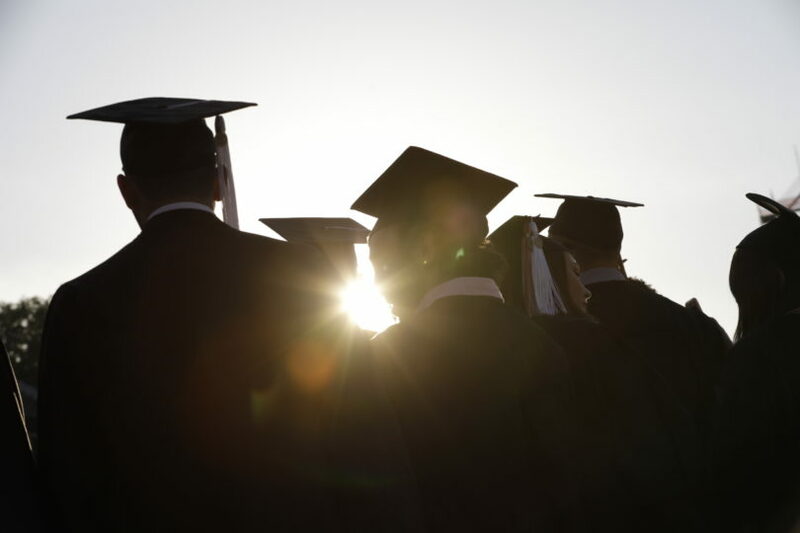 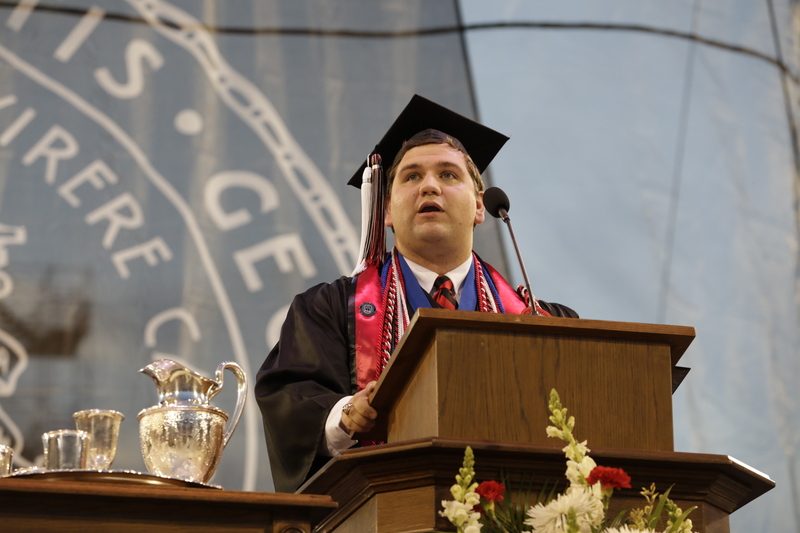 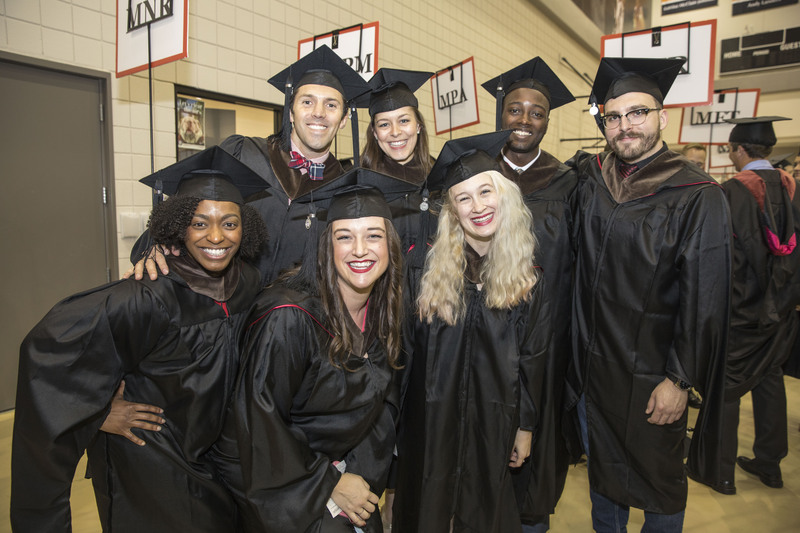 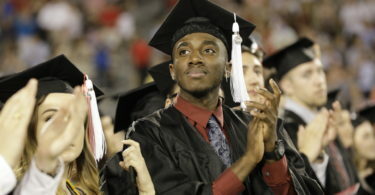 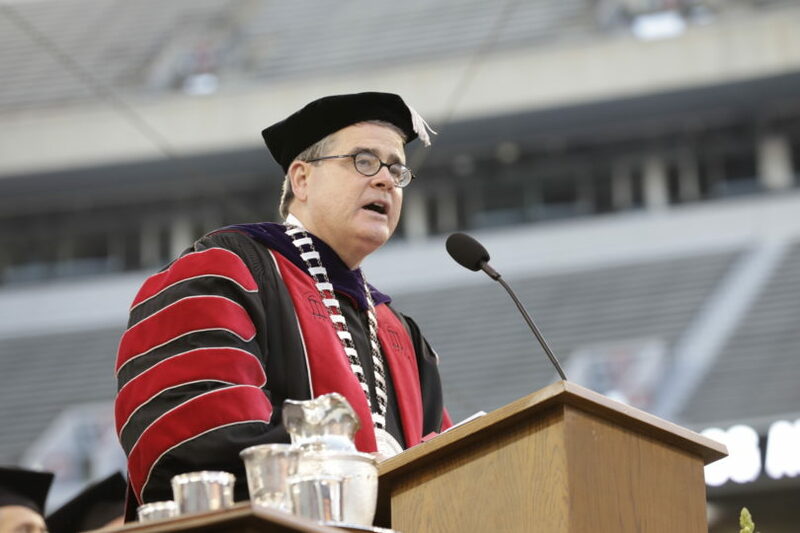 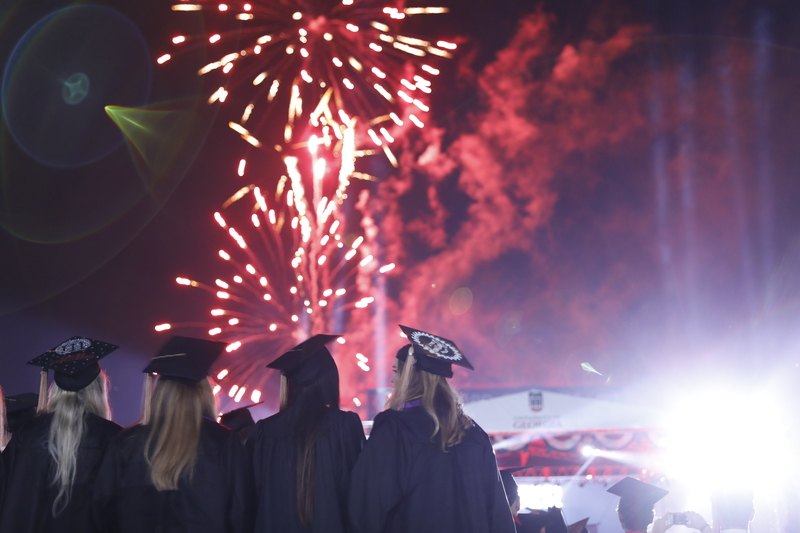 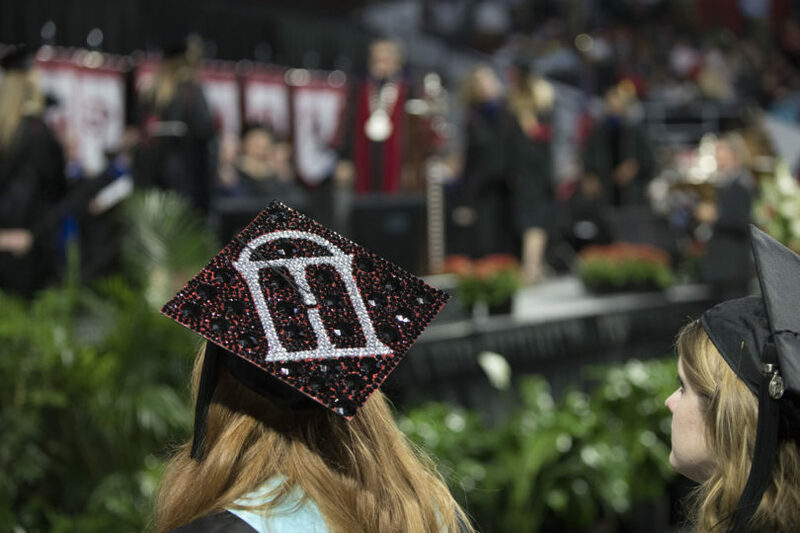 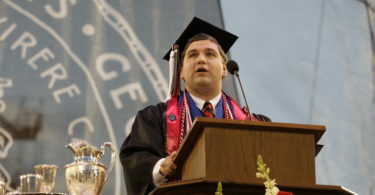 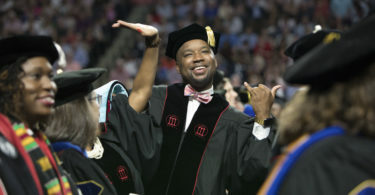 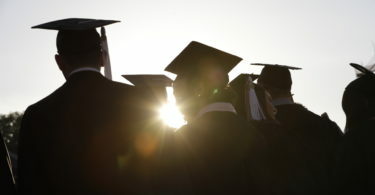 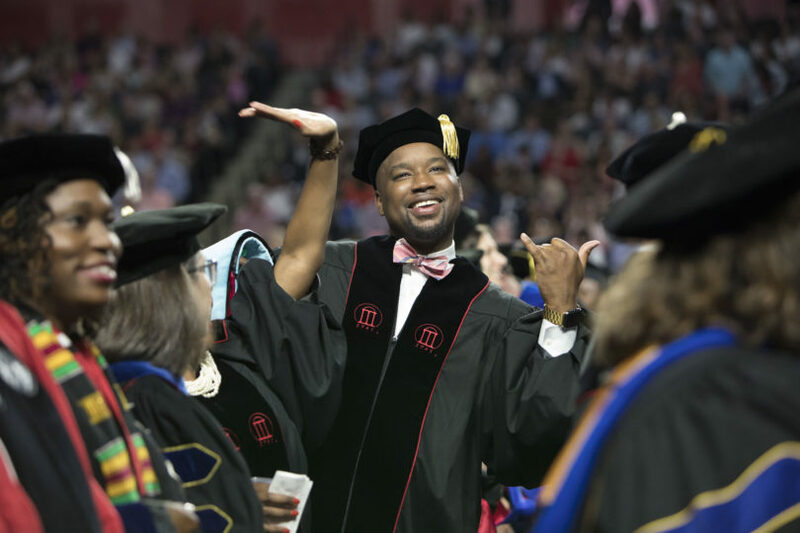 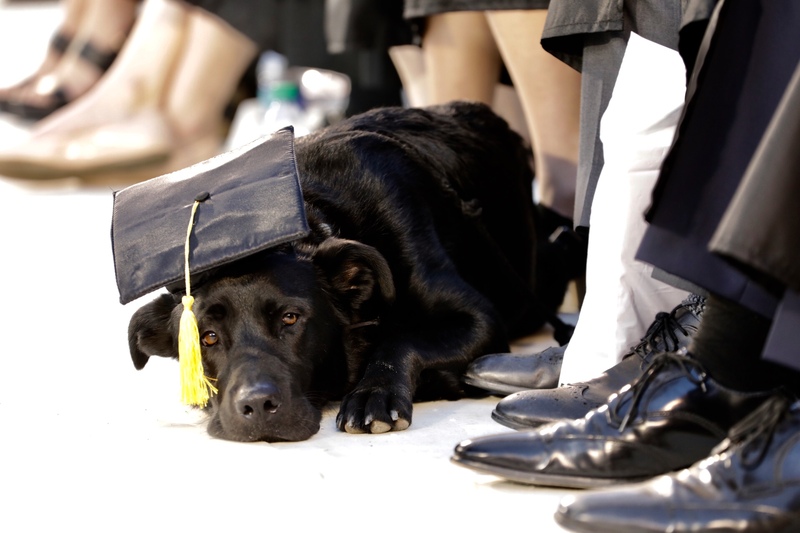 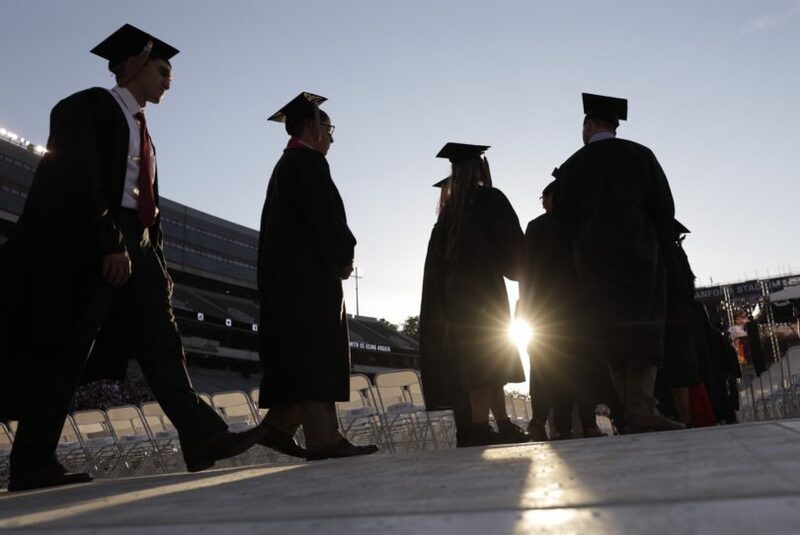 Commencement speakers extol the virtues of education and the power of a UGA degree. 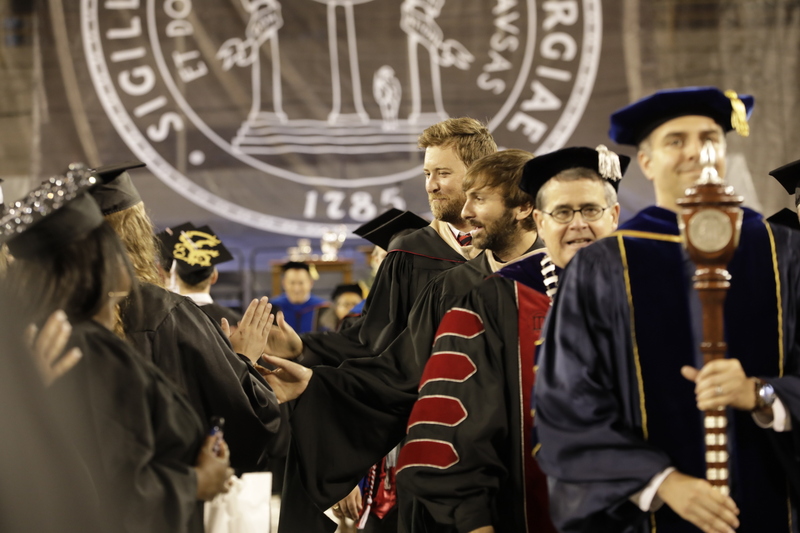 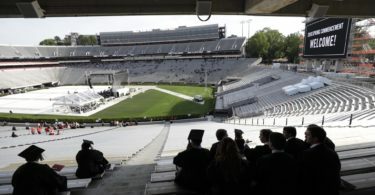 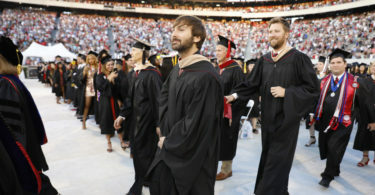 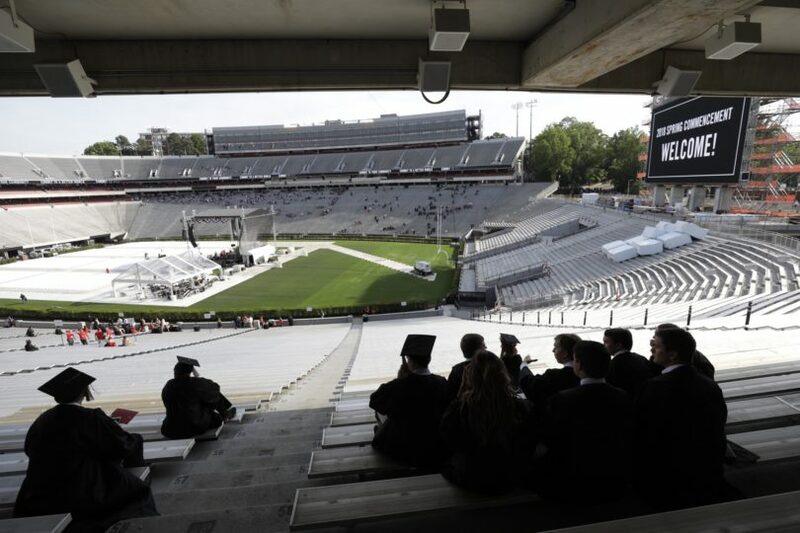 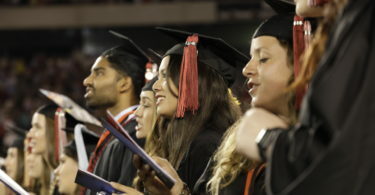 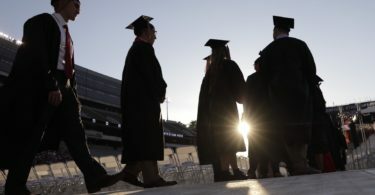 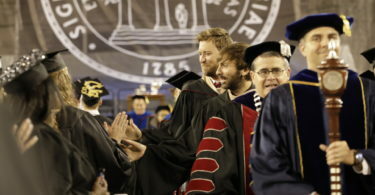 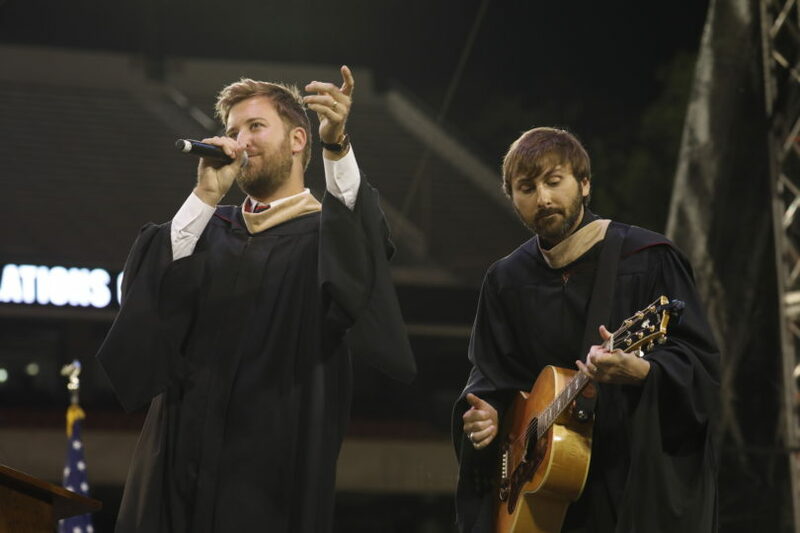 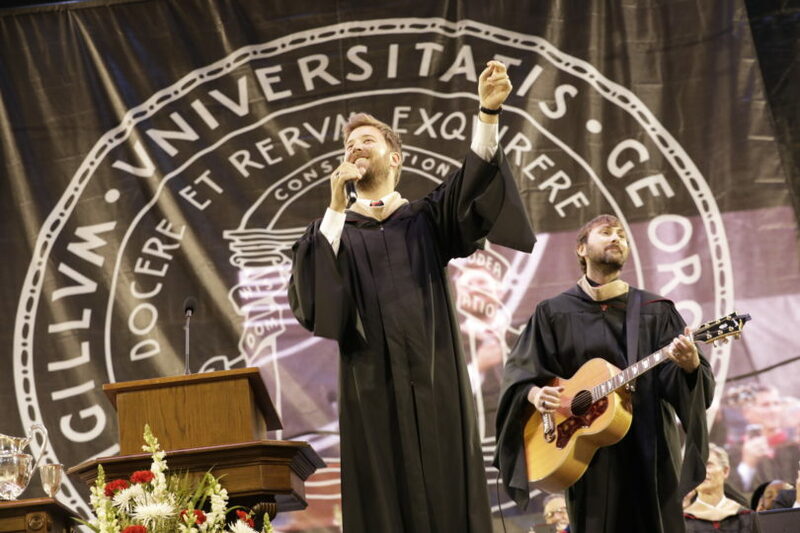 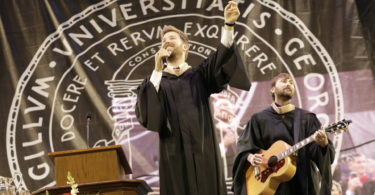 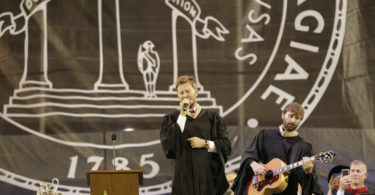 On a brilliant spring evening between the hedges in Sanford Stadium, more than 4,500 University of Georgia undergraduates were serenaded into alumni status with a performance of “Georgia on My Mind” by keynote speakers David Haywood and Charles Kelley of Lady Antebellum. 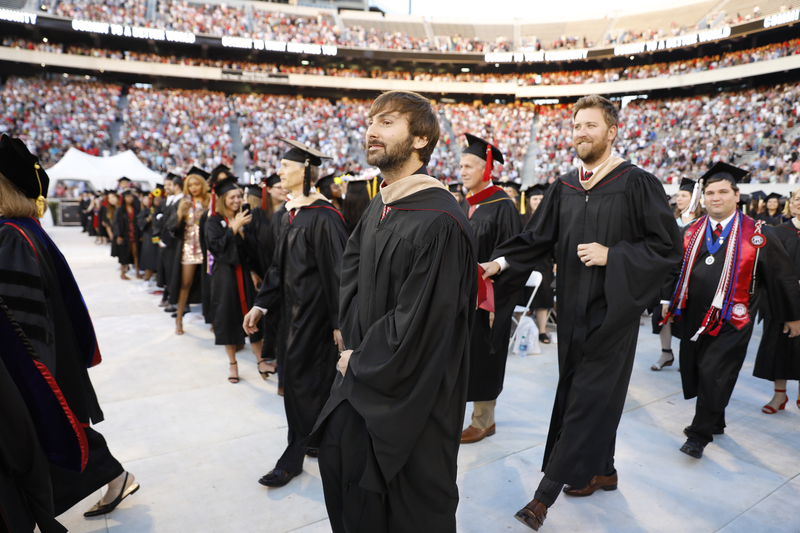 More than 5,800 students received their undergraduate or graduate degrees in Commencement ceremonies on May 4. 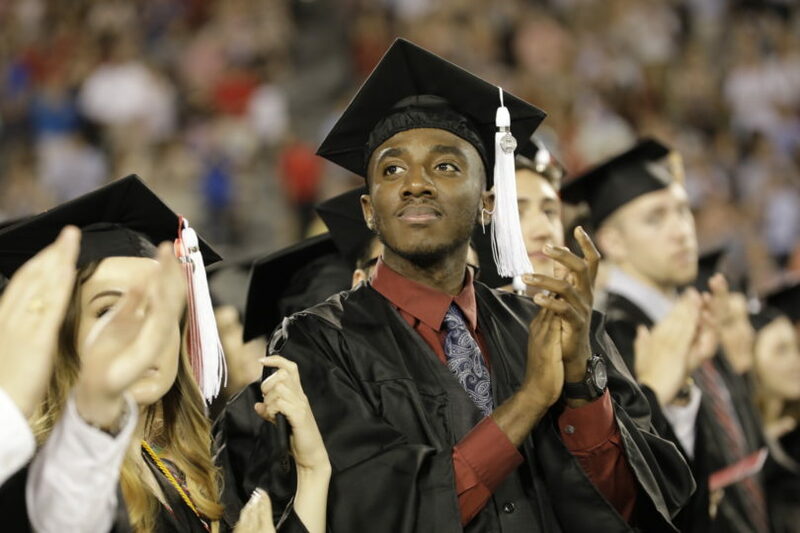 They heard words of wisdom from the guest speakers about the importance of education and were urged to follow their dreams and passions. 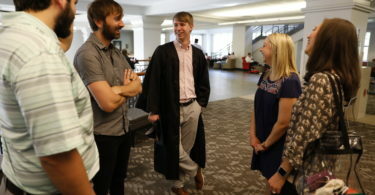 Haywood spoke about how they started writing music together while pursuing their degrees. 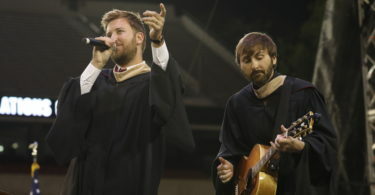 When they graduated in 2004, they each took jobs in the business world but continued to find time to write together. 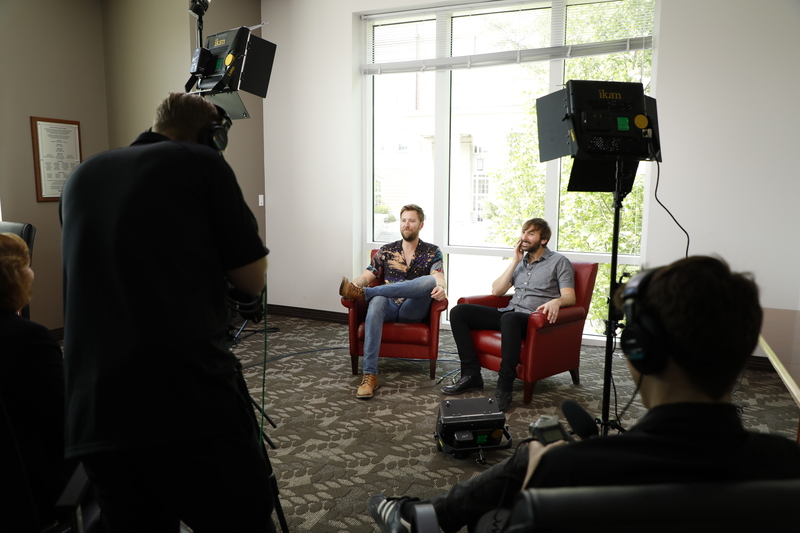 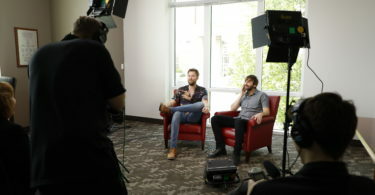 It was Charles’ brother, Josh, who encouraged them to make the move to Nashville to write music professionally. 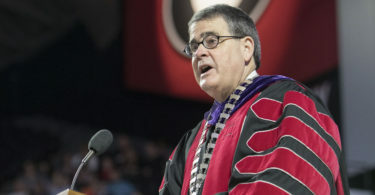 “It was a bit of a risk for us to go to Nashville,” Haywood said, “but at the same time, it wasn’t really that big of a risk at all” because they had their UGA degrees. 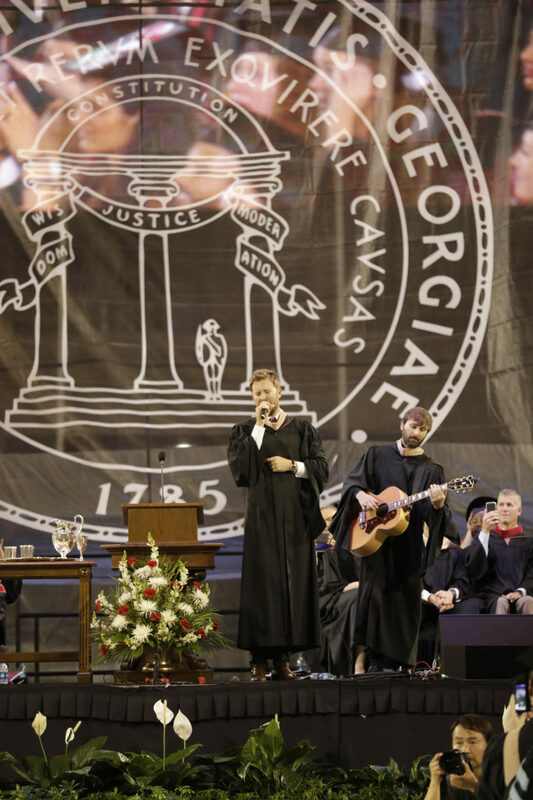 Haywood and Kelley concluded with a performance of the 1930 classic “Georgia on My Mind” made famous by Georgia native Ray Charles. 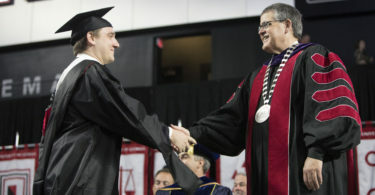 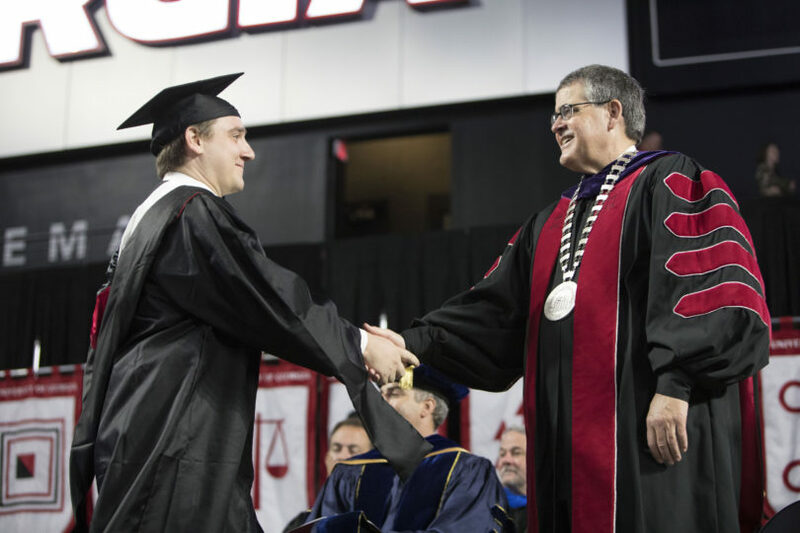 Prior to that, student guest speaker Hunter Glenn Smith, who received his bachelor’s degree in political science, reminded the new graduates that education also comes from untraditional means. 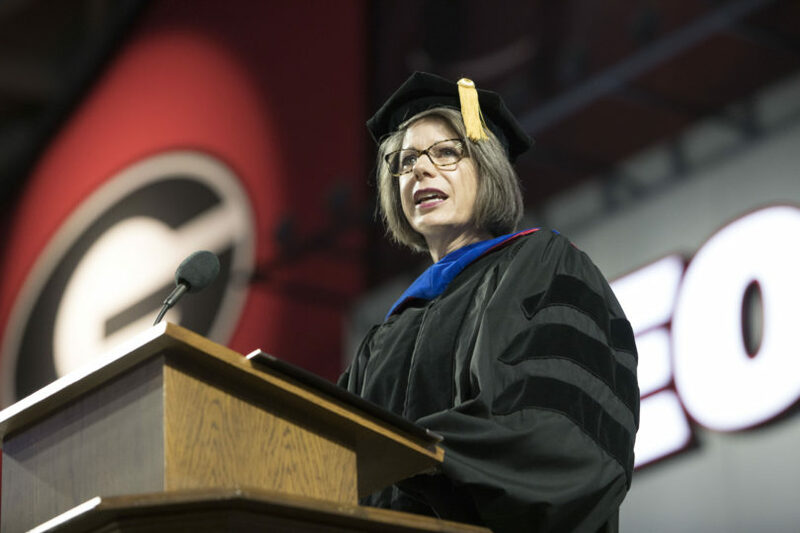 Earlier in the day at the graduate ceremony in Stegeman Coliseum, Denise Spangler, the new dean of UGA’s College of Education, also spoke about the importance of education. 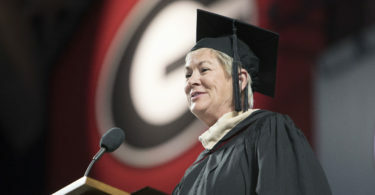 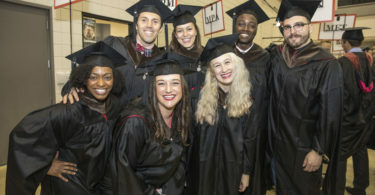 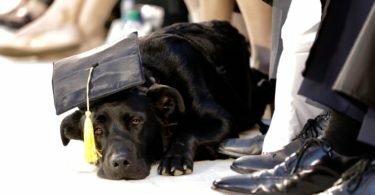 “I hope that your time at Georgia has been filled with opportunities to learn,” she said to the estimated 265 doctoral candidates and 993 master’s and specialist degree students. 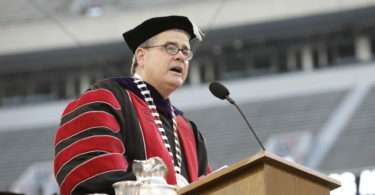 “Academics, yes, but also to learn about yourself and others, especially those who are different from you. 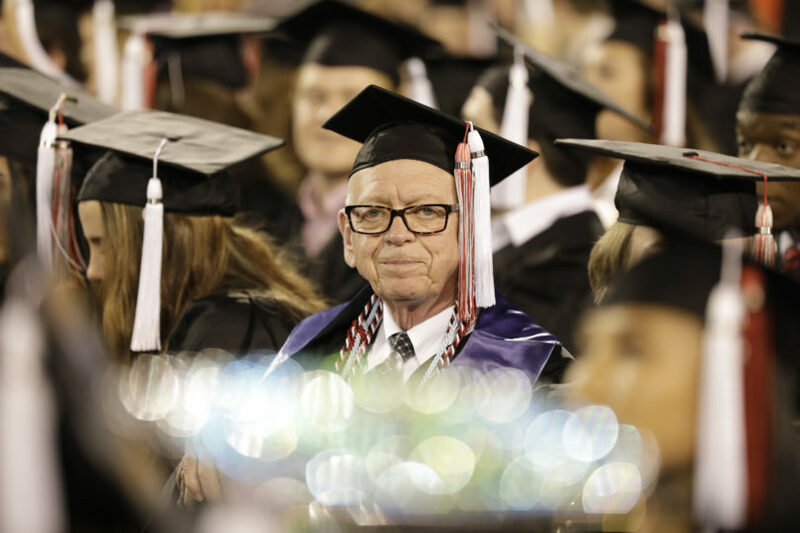 For many of you, graduate school is the best opportunity people ever have to engage deeply with new ideas and with people who are different from you. 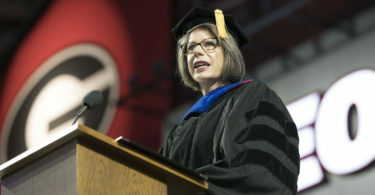 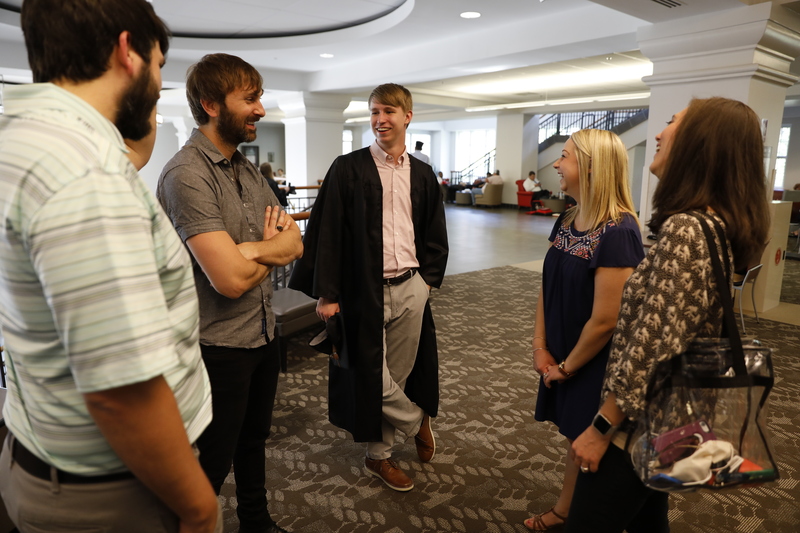 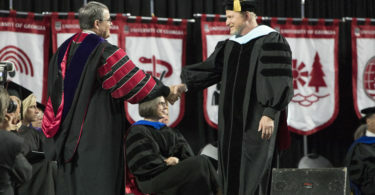 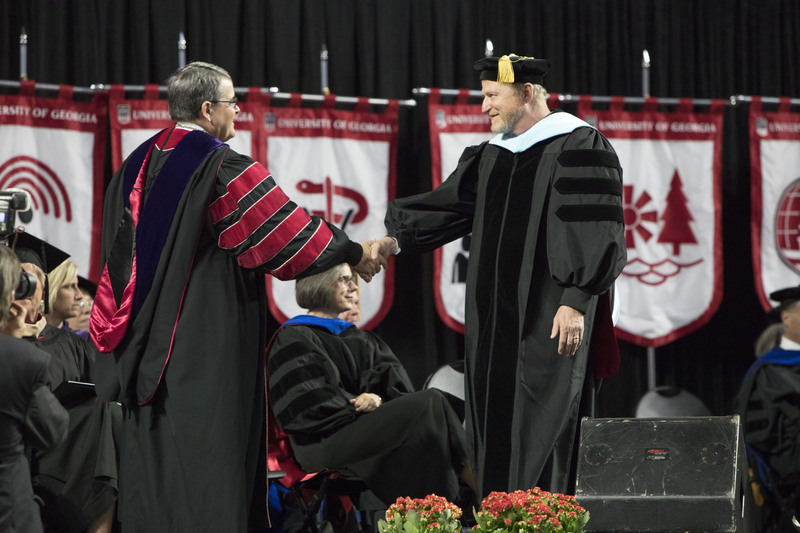 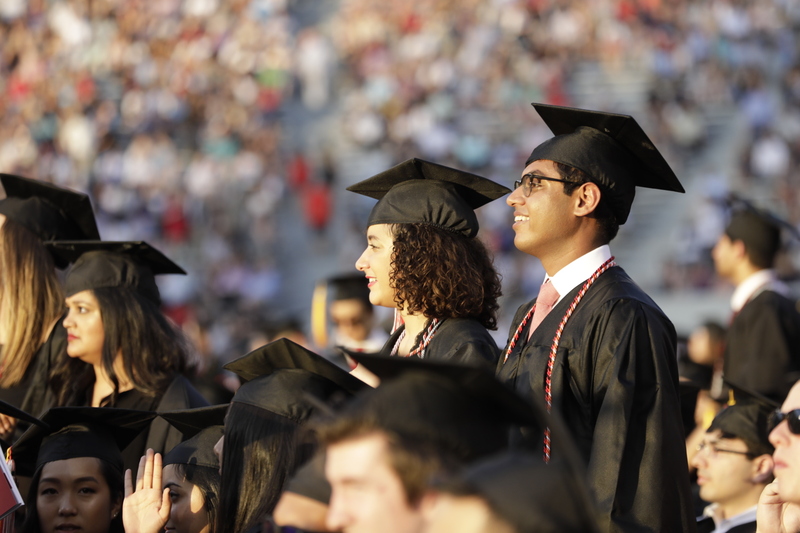 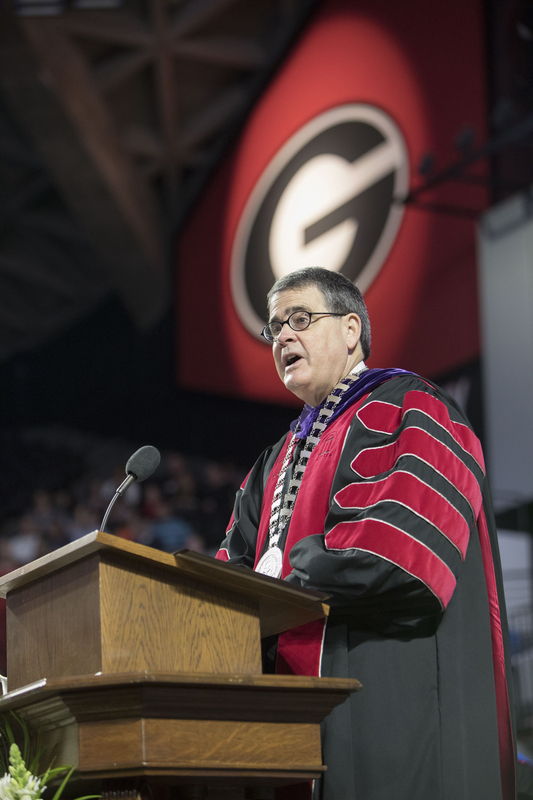 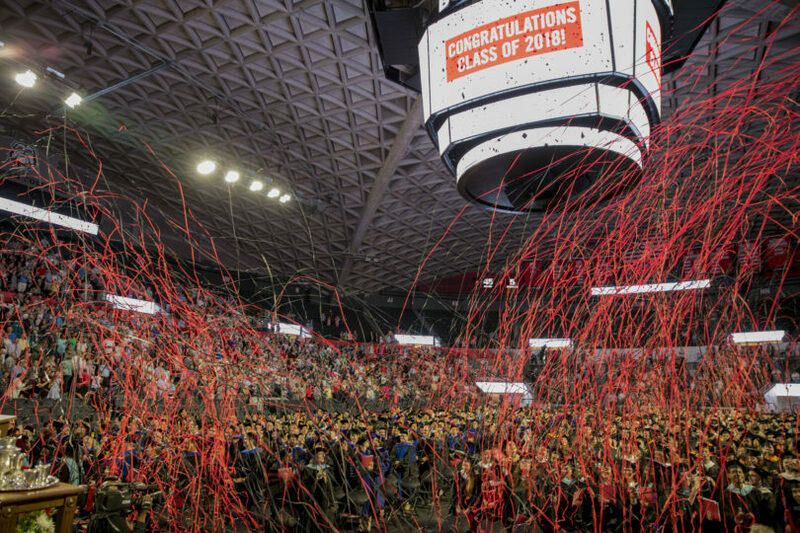 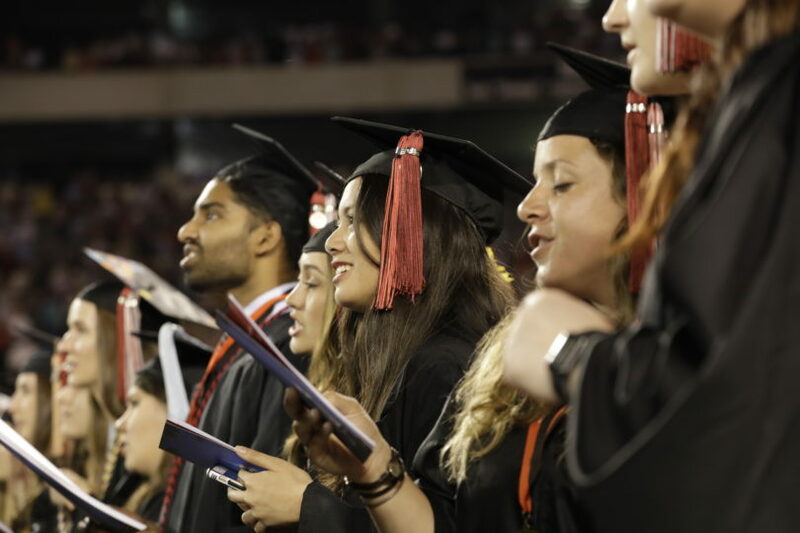 Spangler spoke of the sacrifice made by students and their families and congratulated students on persevering despite the challenges they have faced during graduate school, whether that was full-time or part-time work or moving across the country or the world to come to UGA. 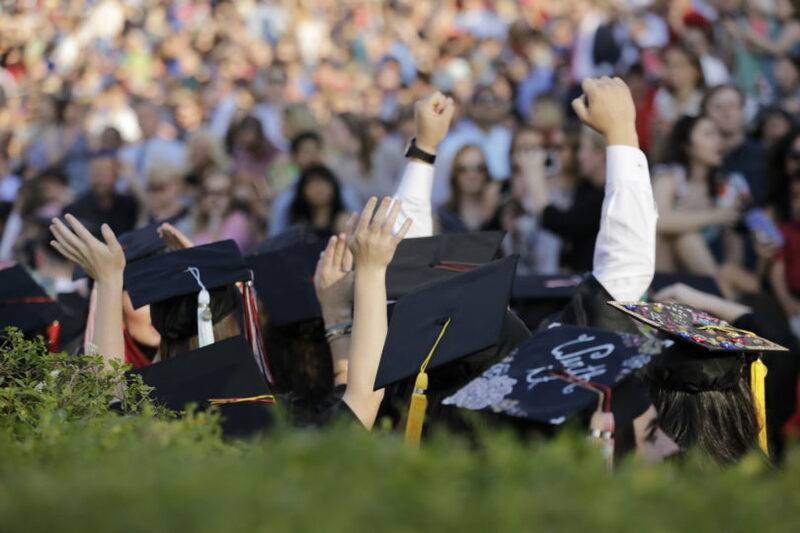 The Class of 2018 committed to removing barriers and opening doors by breaking the UGA Senior Signature class gift record with 2,342 signatures and $125,000 raised to go toward student scholarships. 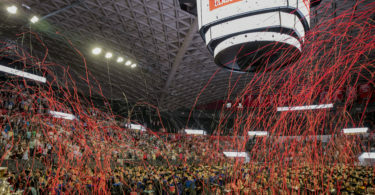 The initial goal was to match last year’s record of 2,164 signatures and $110,000. 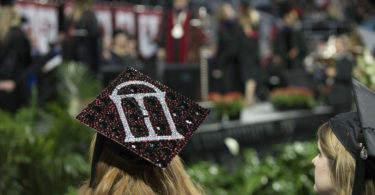 The plaque was unveiled at the annual Senior Send-Off event April 25 and is now hanging in Tate Plaza.